We offer a one-stop-shop for your language requirements; legal and normal document translation, editing & proofreading, subtitling, copywriting, transcription and simultaneous translation. Our adapted content conveys the same message as the original text. We have a 100% record adhering to our clients’ deadlines so our clients count on us with a peace of mind. We work with the leading multinationals and regional government entities as well as companies. We offer the most competitive rates in UAE & the Middle East. We also offer preferential rates to our regular clients. Send us your requests at projects@targemli.com, or use our online quotation form. We deliver the work via email. For the legal translation, we offer pickup and delivery anywhere in UAE. We offer multiple payment methods. You can pay via bank transfers, bank cheques. You can also pay us via Paypal. Soon, you will be able to pay directly with your credit card. 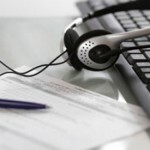 We stand out with uniquely unmatched superior customer experience and customer support. We pride ourselves for walking the extra mile making sure our services far exceed our clients’ expectations. We cover several industries with a special focus on Legal, government communication, consulting services, financial services, medical, IT & Technology, PR & Media. Our Vision is to become the leading translation services company in the Middle East. Have you got a report, a press release, or any other document in one language and you want to professionally translate it to another language? 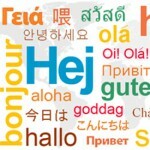 Targemli helps you communicate your message to people speaking different languages. 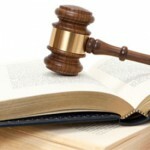 We also do notarized legal translations via our legal translators who are accredited by the Ministry of Justice. We also do certified translations that are accepted by the different diplomatic missions. Do you have an event or a conference where you have attendees coming from different backgrounds or speak different languages? Worry no more! We will help you seamlessly run your event. 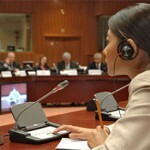 We can support you with our interpreters and equipment (headsets, booths, etc.) to ensure your event is a success. Do you have a meeting with a delegation who only speak their language? Are you moderating a group that does not speak yours? Call us and we will be there for you to attend the session or the meeting for on the spot interpretation between the 2 languages. Got a video that you want to have subtitled? 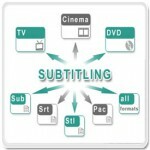 Our expert subtitling team can help you do that. Our team of professionals work with leading TV stations and media companies for various subtitling projects and services, including hard-subbing, soft-subbing, or even time coding only. 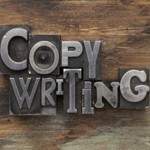 Our copywriting team serves many PR & Communication agencies, leading content providers and aggregators. Get in touch for more information on our copywriting services. If you want to make sure that your document is linguistically correct or that it is free from grammatical mistakes and typos, send it to us and we will make sure that it reviewed and edited by our language professionals. We use native or fluent speakers/writers who will make sure that your work is up to standard and can be shared with others without any potential embarrassment. In today’s digital environment, your websites, portals and gadget applications need to be able to reach out to your audience in different localities, speaking different languages. Backed by an expert team of translators, we’re able to provide high-quality, accurate translation services in a variety of languages, including Arabic, English, Chinese, Russian, German, French, Spanish, and Urdu. 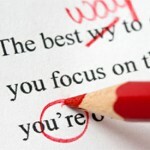 Do you have an image of text that you need to reproduce in an editable format? Not a problem! Our team will help you type the document in a timely manner. If you also want to produce graphics or charts, our desktop publishing team is here to help. Got an audio file and you would like to have its content typed? Or have got any interviews that you would like to write the minutes for? We can efficiently do that for you. Our professionals can deal with different accents and dialects so we can gladly help produce written text for any audio source that you have..